Welcome to our online store! We now have FREE SHIPPING on orders of $70 or more. 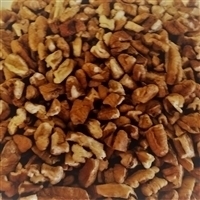 At Palestine Texas Pecans we offer Texas-grown pecans that are carefully harvested and processed at the orchard to ensure freshness and exceptional taste and texture. No peanuts are in our orchard or go through our processing plant. For wholesale pricing call us at 903-480-5451 or e-mail to info@palestinetexaspecans.com.